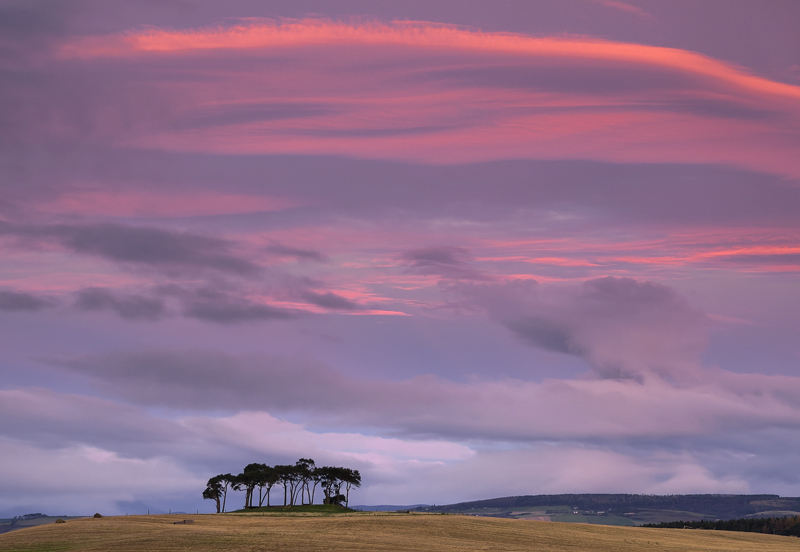 I had planned to capture a moonset through a pink sky on a specific time of year where a full moon would set behind the scots pine copse over a stubble field in a pink sky. The idea being that the lightening sky would soften the contrast of the moons disc and enable me to render some detail in its surface in a single shot. I certainly got the sunrise, that was behind me by the way, but alas the cloud was just too heavy on the northwest horizon and the moon was lost to view well before the sun appeared. C'est la vie, next chance is Boxing day for anyone interested. I am hoping to get some frost or snow on the fields too.